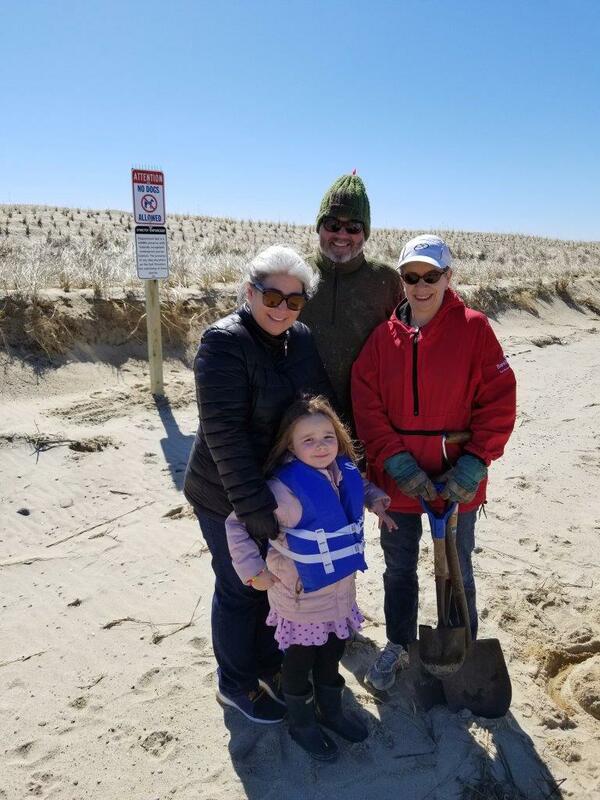 It has been a record breaking weather year and thanks to our building up the dunes, the Spit has survived four nor’easters! Thank you to the generous donors who responded to our need to fund immediate reparations to the Spit! 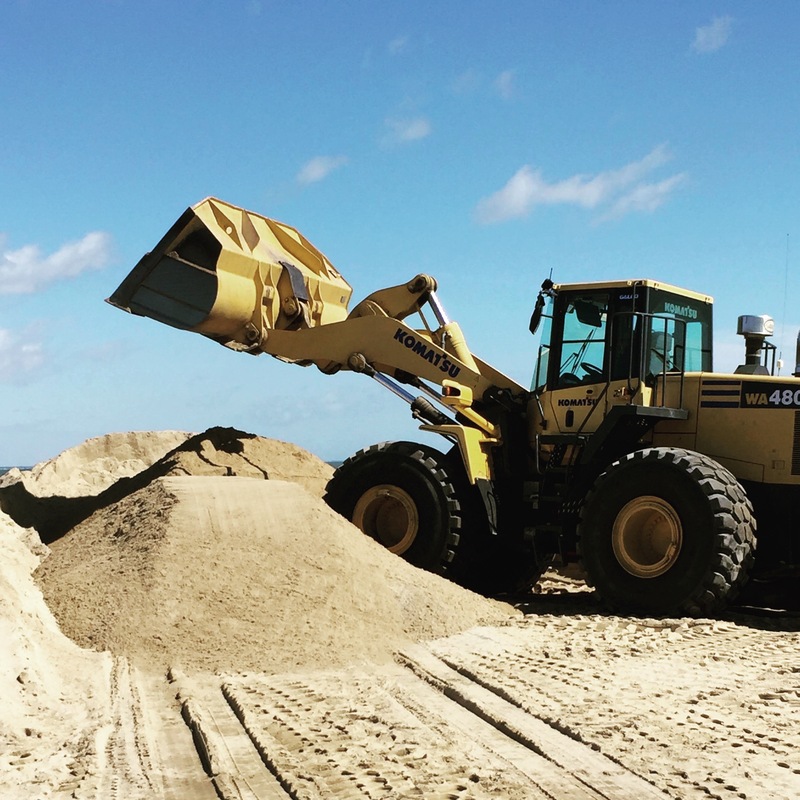 We trucked over 7,000 cubic years of sand to support the dune and after a week waiting out the storms, the dredge completed its work on the channel, placing approximately 5,500 cubic yards of dredged sand on the Spit. And we got it done before the April 1 deadline! More funds are still needed! 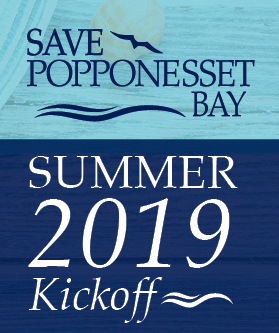 Please advance your 2018 contribution to Save Popponesset Bay by hitting the Donate button below or visit www.savepopponessetbay.org/donate. Or send a check to SPB, P.O. Box 920757, Needham, MA 02492. We also accept shares and matching corporate gifts. 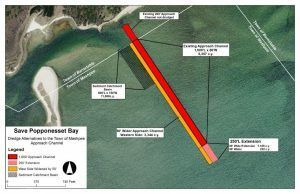 Your contribution helps us finance our work to preserve and enhance the Spit and keep the waterways in and around the Bay safe and navigable. On Saturday, March 31 we put up signs that say “No Dogs” from April 1-September 1 to protect the endangered species on the Spit. 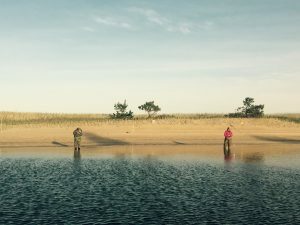 The Spit is an endangered species preserve and the mere presence of dogs (leashed or unleashed) scares the birds and prevents nesting and breeding. In addition to an enhanced security detail this summer, we ask you to please help us by speaking up and advising people that dogs are not allowed on the Spit April 1-September 1 or we will all lose our right to use the Spit (yes, the regulatory agencies can do this). Finally, remember to Save the Date — Thursday evening, July 5 — for our summer event! 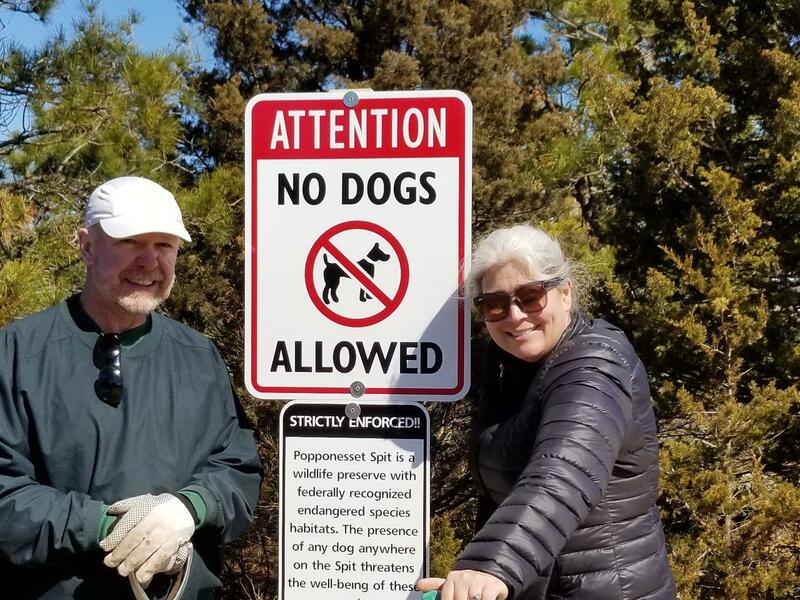 Mike Oleksak and Dawn Peterson installing No Dog Allowed signs on the Spit, at the more popular boat anchoring spots and on Audubon land. Eric, Dawn, granddaughter Grace and Mary Adams installed No Dogs Allowed signs on the SPit and Audubon land. No dogs are allowed from April 1 – September 15. 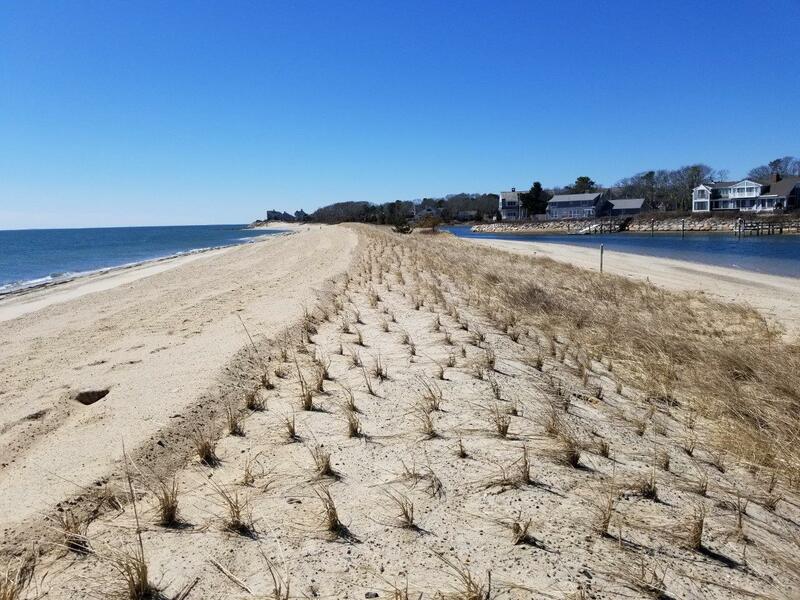 7,000 cubic yards of trucked sand and another 5,500 dubic yards of dredged sand after the March nor’easters. Both trucked and dredged sand was spread on the Spit in March.